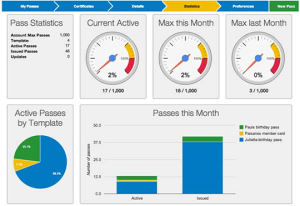 Use the Pass Designer to create a pass (i.e. coupon, loyalty card, membership card, tickets, etc.) with relevant content and images. 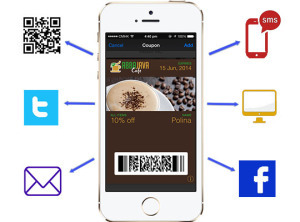 Distribute the pass URL or QR code to customers via e-mail, social media, SMS, or other mediums to promote your mobile wallet content. 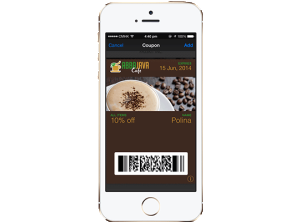 Customers can easily click the URL or scan to add the pass to their mobile wallet. Engage with customers by delivering relevant lockscreen alerts to customers based on their time and location. 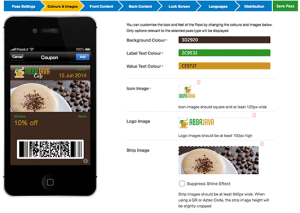 Scan the QR code or click on a pass URL to instantly add the pass to mobile wallet. No more clutter in your leather wallet. 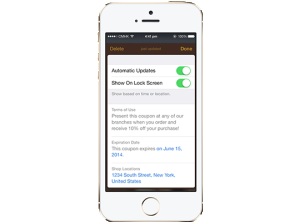 Receive valuable lockscreen messages, updates, and offers from businesses. Simply swipe the lockscreen message and your pass immediately opens on your device. 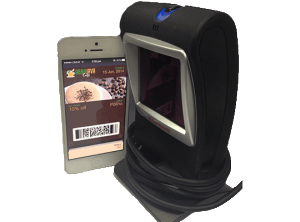 Present your pass at checkout and immediately transact with a scan of the QR code. Instantly see your updated store card balance, loyalty reward points, and much more. By keeping the pass in your mobile wallet, you are able to receive future updates and offers from your favorite stores.